Christmas came early for many people when the ever mysterious and reclusive R&B crooner D’Angelo released his long-awaited album Black Messiah with a backing band known as The Vanguard. This is his first album in 14 years since his 2000 classic Voodoo was released. After many years of inactivity and personal turmoil D’Angelo started to re-emerge in 2012 with concert and tour appearances, a GQ magazine cover story, an appearance on the BET Awards, and a lecture at the Red Bull Music Academy. The entire 14 year hiatus was peppered with rumors, promises, and updates from his label and friend/collaborator Questlove (of the band no one can actively dislike, The Roots.) After some teasing and the streaming release of its first single “Sugah Daddy”, Black Messiah was finally released at the stroke of midnight on December 15th on iTunes. “Black Messiah is a hell of a name for an album. It can be easily misunderstood. Many will think it’s about religion. Some will jump to the conclusion that I’m calling myself a Black Messiah. For me, the title is about all of us. It’s about the world. It’s about an idea we can all aspire to. We should all aspire to be a Black Messiah. This was very needed with everything going on in the world today. 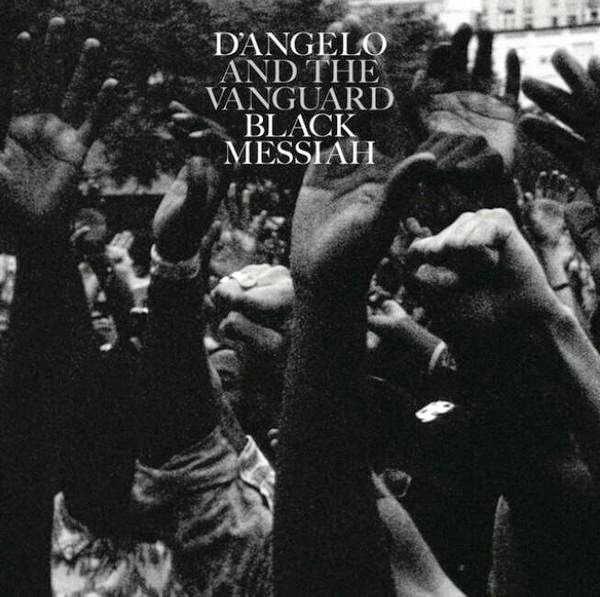 While many people are nobly and understandingly going through painstaking lengths to remind the seemingly disinterested other half that #BlackLivesMatter, it’s both timely and fitting that D’Angelo (and The Vanguard) musically delivered to us Black Messiah. Just in time for Christmas, too. To check out the album lyrics, click here.